Even if you have not heard about it, you must have watched the Dissociative Identity Disorder? Edward Norton’s character Aaron in the 1996 movie ‘Primal Fear’ seemingly suffered from this disease. This much-popular health condition has been dealt with in countless movies and literary works. Read on to know all about this unique disorder that literally creates many out of one. What is Dissociative Identity Disorder ? 1 What is Dissociative Identity Disorder ? It is a disorder in which the personality of an individual completely alters for some time. The person shows one or more completely different personalities. These personalities are distinct from each other. They have their own way of perceiving and interacting with their environment. As the sufferer exhibits multiple personalities in this condition, it is also known as ‘Multiple Personality Disorder’. People suffering from this disorder actually suffer from some a unique condition that is unlike any other health condition. Just as many people try to control a child, different personalities of a single individual try to rule him or her. This can have a severe impact on the mental functioning of a person. The behavioural as well as mental attributes of a person can undergo a rapid change. This may last for a few moments or even for days. Behavioural alternation – Sufferers often display mannerisms and behaviour that their close ones will find vastly different. Loss of memory – Patients may forget many common things about themselves from time to time. This is known as Dissociative Identity Disorder amnesia. It happens when other personalities have take control over the same individual. Pains – The person may suffer from headaches and pains in other part of the body. Depression – Even a seemingly jovial person may appear to be downcast. The person who has come to know about his condition wonders whether he or she can ever recover from it. Drug or Alcohol Abuse – The person may take recourse to drugs or alcohol for relief from depression. Mood Swings – The patient may suffer from changes in mood from time to time. There may even be angry outbursts from time to time. Depersonalization – The sufferer experiences an out-of-body sensation and watches himself act in a seemingly uncontrolled manner. De-realization – The person feels that the external world is unreal. Sleep Disorders – The person feels difficulty while sleeping. There are problems like insomnia, sleep-walking and night terrors. Time Loss – Patients may lose sense about duration of time. Blackouts – The person may suffer from blackouts from time to time, not out of alcohol consumption or drug abuse. Hallucinations – The patient may suffer from unreal sensory experiences from time to time. They may see or hear things that are completely unreal. Phobias – The victim may suffer from phobias that seem strange to other persons. Flashbacks – People with this health condition often have flashbacks of some earlier traumatic incident they suffered from. The health condition is believed to be caused by a traumatic incident at an early age. The disease is seen to have appeared in people who have been subjected to physical or sexual abuse early in life. They are the ones who develop this disorder later in life. Psychoanalysts explain that when sufferers are faced with traumatic situations, they look for someone to turn to. In the absence of a live entity or substance, they try to forget the situation or run away from it altogether. If this is not physically possible, the person develops an altogether different identity. This separates the negative memories including the person’s own weaknesses and character traits. The person psychologically cuts out the memory of his own existence to forget the trauma. This is a psychological defence mechanism. In this way, a completely different person is born within the same individual. This leads to double personality disorder or even multiple personality disorder. Even after the trauma has gone away, traces of this personality remain. The other personality or alter-ego tries to take control of the person’s life now and then. When this happens, the normal function and activities of the person are seriously hampered. If a child is not nurtured properly, he or she may develop Dissociative Identity Disorder in later life. While growing up, a child faces many adversities and looks for support in their parents. In the absence of care from such a person the sufferer seeks escape from his surroundings. Subconsciously, he begins to deny his own existence. As a result, an alternate personality appears within himself. The individual remains oblivious to his miseries in his new personality. One or more personalities may develop in this way. The disease may also appear if the person had an extremely stressful childhood. When the situation gets too much to bear for a person, he develops an imaginary personality that can provide him with support. Generally, all the alternate personalities of a person are seen to be ready to help. They try to assist the person when he or she is unable to cope with the stressful situation. Diagnosis of this condition is generally done by psychiatrists or psychologists. These medical professionals determine the presence of Dissociative Identity Disorder in a person through personal interviews and personality assessment tools. Highly structured questions are asked to subjects to check if they suffer from hallucinations and memory lapses. In some cases, patients are also hypnotised or administered with drugs. This often triggers a shift in personality leading to the successful diagnosis of the disorder. The behaviour and way of interaction of the patient are then closely observed and compared with his usual personal manners. It is also checked if the person is doing this because of a recent alcohol or drug abuse. Such methods are applied to avoid wrong diagnosis by mistaking the disorder with similar conditions like schizophrenia and anxiety disorders. Treating Dissociative Identity Disorder is done in two ways. There are psychotherapies as well as medication for Dissociative Identity Disorder treatment. Medication for Dissociative Identity Disorder mostly involves antidepressants and tranquilizers. This is because patients with altered personalities may suffer from mood swings, depression and anxiety. Such medication helps the sufferer maintain his or her normalcy. Psychotherapy treatment for Dissociative Identity Disorders generally involves fusing all the personalities into one. This is done by a therapist who specializes in treating dissociative disorder cases. The treatment often consists of cure by hypnosis. This is done to enter the subconscious mind of the sufferer and root out the personality from within. The psychotherapies also involve family therapies, in which members of the patients’ family are counselled about the personality changes in the sufferer and ways to tackle it. In some cases, group therapies are also done. The patient is made to interact with other sufferers of the same disease. However, it is generally not done because personality changes in other sufferers may frighten the patient and hamper his progress. There have been many celebrities who have suffered from this disorder. 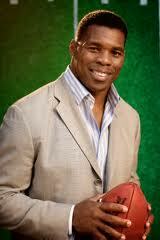 Former NFL star Herschel Walker had a multiple personality syndrome. He had different personalities within himself. However, he only became aware of their existence much later. He felt that the personalities helped him battle all fears and achieve honor and national fame. According to the International Society for the Study of Trauma and Dissociation, about 1% of the total population suffer from this disorder. About 73% people suffering from a childhood trauma are at a high risk of becoming a victim of this condition. 1/3rd of all dissociative disorder sufferers feel the out-of-body experience from time to time. They feel like they can see themselves act, but have no control over it. 7% of the population are believed to have untreated dissociative disorder. Dissociative Identity Disorder is a complicated medical condition that can even be scary at times. But it is curable and good medical treatment can eradicate it completely. If you feel you or any of your dear ones display symptoms characteristic of this condition, you should immediately contact a psychiatrist. A timely treatment can prevent a lot of worries that may arise in future. · Behavioural alternation – Sufferers often display mannerisms and behaviour that their close ones will find vastly different. · Loss of memory – Patients may forget many common things about themselves from time to time. This is known as Dissociative Identity Disorder amnesia. It happens when other personalities have take control over the same individual. · Pains – The person may suffer from headaches and pains in other part of the body. · Depression – Even a seemingly jovial person may appear to be downcast. The person who has come to know about his condition wonders whether he or she can ever recover from it. · Drug or Alcohol abuse – The person may take recourse to drugs or alcohol for relief from depression. · Mood swings – The patient may suffer from changes in mood from time to time. There may even be angry outbursts from time to time. · Depersonalization – The sufferer experiences an out-of-body sensation and watches himself act in a seemingly uncontrolled manner. · De-realization – The person feels that the external world is unreal. · Sleep disorders – The person feels difficulty while sleeping. There are problems like insomnia, sleep-walking and night terrors. · Time loss – Patients may lose sense about duration of time. · Blackouts – The person may suffer from blackouts from time to time, not out of alcohol consumption or drug abuse. · Hallucinations – The patient may suffer from unreal sensory experiences from time to time. They may see or hear things that are completely unreal. · Phobias – The victim may suffer from phobias that seem strange to other persons. · Flashbacks – People with this health condition often have flashbacks of some earlier traumatic incident they suffered from.